You are here: Home » Lawrence I. Fox, Esq. Obtained on behalf of one of the world’s largest vodka distillers and its U.S. distributor a dismissal of a wholesaler’s Federal Court complaint alleging antitrust violations under the Sherman Act and Robinson-Patman Act. Successfully defeated injunction motion brought by Lucky Brand Dungarees, Inc. and Liz Claiborne against Marcel Fashion Group, Inc., the owner of the first registered trademark “Get Lucky.” The decision denying the injunction was affirmed by the Second Circuit Court of Appeals. Thereafter, Larry obtained a sanctions award against Lucky Brand and Liz Claiborne for discovery abuses. The Court awarded Larry’s client partial summary judgment, an injunction, and over $100,000 in fees and costs. Successfully, on behalf of the Global Internet Association and separately on behalf of independent merchants, ISOs and MSPs, Larry has handled a number of disputes with acquiring banks involving fines and penalties they imposed on merchants arising from alleged violations of the rules of the payment card organizations including MasterCard and Visa. Larry has also lectured extensively on dealer distribution, franchising and termination issues. He has been a lecturer at the “Distribution and Dealer Termination Law Seminar,” sponsored by Law Journal Seminars-Press and recently delivered a lecture at one of China’s leading law schools, Zhejiang Gongshang University Law School, entitled, “The U.S. Antitrust Laws and the New Chinese Anti-Monopoly Law: Two Paths Towards a Policy of Enhanced Competition.” Larry has authored several articles on distribution related topics, including Strategies for Sellers and Buyers in a Dealer Termination Context. He also authored a chapter entitled, “Consents and Settlement Agreements,” in Antitrust Law in New York State, published by the New York State Bar Association and also published by the ABA Section of Antitrust. He is also co-author of “New York Antitrust and Consumer Protection Law” (Third Edition), which was published by the New York State Bar Association, in 2011. For two years, Larry served as chairman of the Antitrust Law Section of the New York State Bar Association, and is currently on the executive committee of the Section. He was also selected to serve as a member of the New York State Bar Association’s House of Delegates. Since 2007, Larry has been a member of the Editorial Advisory Board of the National Institute for Trial Advocacy (NITA). In 2010, Larry was selected by the president of the New York State Bar Association to serve as one of six members of the Bar Association’s Special Committee On Pleading Standards In Federal Litigation. 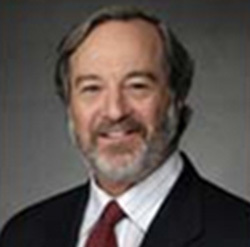 In 2011 he was selected for inclusion in the American Registry’s Inaugural Edition of “America’s Most Honored Professionals,” and received from Martindale-Hubbell its highest rating in both Legal Ability and Ethical Standards: “AV Preeminent.” Larry has been recognized each year from 2006 to 2018 by New York Metro Super Lawyers magazine as being among the top five percent of lawyers in the New York metro area. He also has been selected for inclusion in Best Lawyers in America each year from 2008 through 2019 with special recognition for his work in Antitrust Law and for the years 2012-2019 with special recognition for his work in both Antitrust Law and Antitrust Litigation. In 2015 Larry was invited to become a Fellow of the Litigation Counsel of America, the trial lawyer honorary society, composed of less than one half of 1% of American lawyers. Fellows are selected by invitation only based upon effectiveness and accomplishments in litigation, both at the trial and appellate levels, and superior ethical reputation. Larry is a member of the bars of New York, Pennsylvania, the District of Columbia and the Rosebud Sioux Tribal Court. He is also admitted to practice before the U.S. District Courts for the Southern, Eastern and Northern Districts of New York; the U.S. District Court for Hawaii; the U.S. Court of Appeals for the Second, Eighth, Ninth and District of Columbia Circuits; and the Supreme Court of the United States. 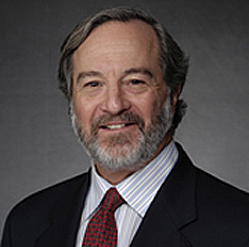 Larry was the editor of the American Criminal Law Review while attending the Georgetown University Law Center.